Yumbu Lhakhang Palace is located on the Tashi Tsere Hill, about 5 km to the southeast of Nedong County of Lhoka. Yumbu means female deer, because the Tashi Tsere Hill appears like a female deer, and Lhakang means holy palace. The Yumbu Lhakang is the first palace in Tibet and was built by Nyechi Tsanpu, the first Tibetan King in 2 century B.C. according to the legend. Enshrined inside the Palace are statues of the Three Periods of Buddhas, statues of successive kings such as Nyechi Tsanpu, Lha Thothori Nyantsen, Rebajian, Songtsen Gampo and Trisong Detsan. About 400m to the northeast of the Tashi Tsere Hill, there is a famous spring named the Gar Spring which flows in a ceaseless stream for the whole year. Later, Yumbu Lhakhang Palace became the summer palace of the 33rd king Songtsen Gampo and Princess Wencheng in the Tang Dynasty. After Songtsen Gampo had transferred his seat to Lhasa, Yumbu Lhakhang Palace became a Chapel and under the reign of the 5th Dalai Lama, Ngawang Lobsang Gyatso, a monastery of the Yellow Sect. The Yumbu Lhakhang palace may have been the oldest structure in Tibet before being mostly destroyed during the Cultural Revolution. In the 1960s, the Yumbu Lhakhang was rebuilt and beautifully redecorated. The Yumbu Lkakhang is revered by pilgrims as the location of the first appearance of Buddhism in Tibet. 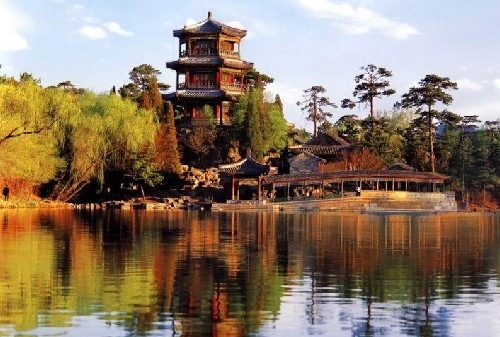 Chengde Summer Resort is also know as Chengde Mountain Resort, or Chengde Summer Palace. 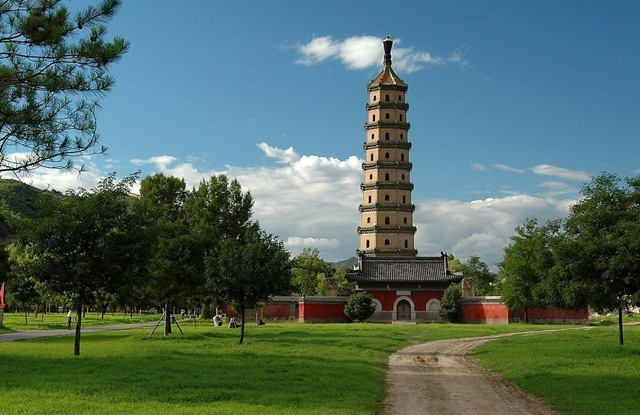 It is located in the northern part of Chengde City, Hebei Province. The park is 5.64 million square meters, has 110 buildings, bounded by a 10 km zigzag wall. It was a palace for the Qing emperors to spend their summer days. The Undertaking began in 1703 and was Finished in 1792. At the north end of the gardens the pavilions were decimated by warlords and Japanese invaders and even the forests have suffered cutbacks. Chengde Mountain Resort palace palace major construction Locations are Working with the emperor and Empress Chief Location of residence, Which includes “Becoming the Palais”, “Songhe fasting”, “Matsukaze” and the “Orient House” (already destroyed) four groups of construction. Palace is the palace is the main construction Location, Which includes 9, classified as “former”, “Rest after” two parts.called “Keswick”, is precious nanmu Finished, therefore, also known as Phoebe Hall. All the various grand ceremony held here. The palace was later named the “four known House,” “To　Shuang”, “Mountain resort” and so on, is that the emperor to deal with court politics, reading and a Location to Reside. Other attractions are: the Summer Resort in Chengde door, long Reside In accordance to the Housing, dismount Monument, Mountain House resort. Chengde Mountain Resort from the palace Location is out of the Garden Villas Location, a summer resort in Chengde Mountain name, which is water-sheng Fun.water Viaout the Location, scattered Island, one south of Yangtze River beauty. The Most suitable side of the lake three pavilion called the “water heart Terrace,” stands above the stone bridge, structural symmetry, crisp light. Villa Most suitable close by Property, the concept Directly for Miles. Chengde Mountain Resort, only more than 500 hectares, but concentrated in China’s terrain and topography, condensed history of the Qing Dynasty. In the Villa, will be able to Belowstand the Go up and fall of the Qing Dynasty a Procedure. Offering comprehensive information on the Forbidden City where twenty-four emperors reigned over the country for over 500 years. The Forbidden City, also named the Palace Museum, shares the honor of being one of five world-famous palaces with the Palace of Versailles in France, Buckingham Palace in England, the White House in the U.S. and the Kremlin in Russia. The palace, the most magnificent and splendid palace complex in China, was listed as a World Cultural Heritage Building in 1987. It was built in the Ming Dynasty (1368-1644) and the construction of this group of buildings took fourteen years from 1406 to 1420. In the Ming Dynasty and the Qing Dynasty (1644-1911), it was the imperial palace where twenty-four emperors ascended the throne and exercised their strong power to the nation. The Forbidden City, completed in 1420, was home for 24 emperors of two dynasties, the Ming and the Qing (say ching) The emperors lived here with with their families, court ladies and gentlemen and servants. Inside the Forbidden City they held court sessions with government ministers to make rules, plan for wars and expeditions and met important people from other countries. No ordinary people could enter the city. Tibet has drawn an eminent attention from the world wide tourists. As this part of the world is rich with variegated natural splendours, Tibet travel ensures a unique experience. So, if you love mountains, you need to come to Tibet to witness the grandeur. But coming here is not a walk in the park. Rather, it is very hard for one to acclimatise with the harsh climatic conditions that Tibet possesses. Being situated at an altitude of over 16,000 feet over the sea level, it is chillingly cold herein. However, if you can manage to ignore or cope up with the physical discomforts, Tibet travel will surely enchant you with its beauty. Tibet is not a place where you can come by any moment without organising anything well in advance. Lhasa is located about 12000 feet above the sea level. 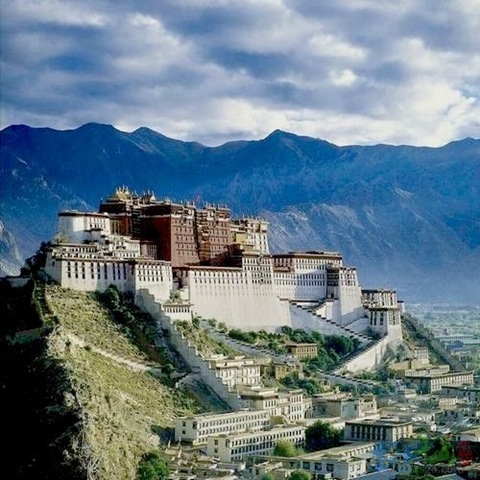 This is the capital of the Tibet and also known as “the Land of Gods”. There are several of picturesque and historical importance attractions like Potala Palace, Norbulingka, Drepung Monastery, Sera Monastery, Jokhang Temple and Ramoche Temple. The building of the Palace is divided into two- the red palace and the white palace. You would presume, by the colors of the walls. 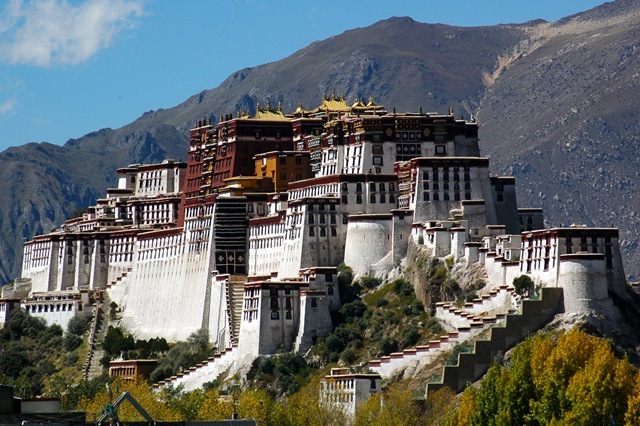 All through the history of the Potala Palace Tibet, the red one has always been used for religious purposes, whereas the white one used for the residence of the Dalai Lamas, and where they control their political issues. 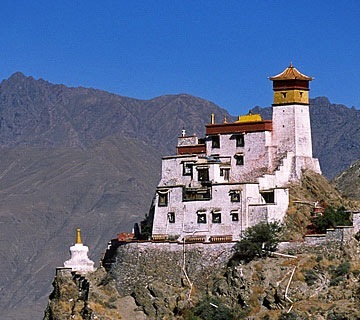 The sightseeing of the Leh palace forms an important part of Leh tour. 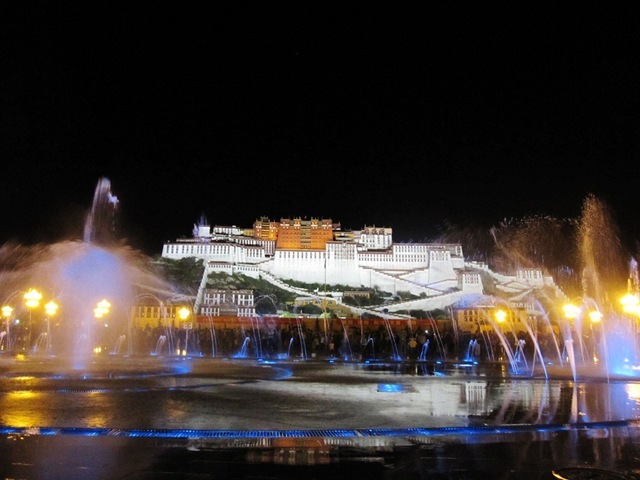 The design and art of palace is based on the Potala palace in Tibet. This palace was built in the 17th century. Although this palace is a ruin in the present times, it is being restored by the archeological survey of India. You can visit the palace and the upper room provides a good view for the public. The view of Leh from the top of the palace looks exotic.